The over-the-top video market is no longer a novelty, with a majority of WiFi-connected homes streaming video to their TV sets. Yet a significant opportunity for device makers, content creators and advertisers to add market share remains, according to ComScore’s “State of OTT” report, released this week. According to ComScore, 59.5 million homes in the U.S. used OTT devices in April, making up 63.5% of homes that have WiFi. The number of homes that use OTT was up 17% compared to the same period last year, suggesting that user growth of these devices is slowing down. Two types of consumers who do not currently use OTT devices are particularly ripe for shifting to the medium, according to the report. 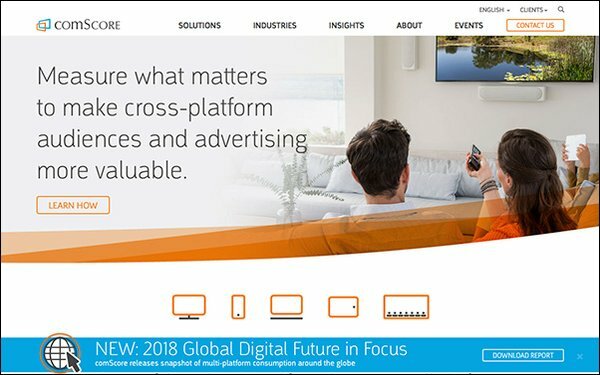 ComScore defines an OTT device as a streaming stick/box, game console, smart TV and similar products, and notes that 21% of homes that have them do not actually stream video content through that device. Those 21% of households would be ripe for moving to an OTT service. The trick is to determine what is preventing them from doing this. Similarly, ComScore estimates that 28 million households subscribe to cable or satellite service but do not use an OTT device or service. Engleson says “the vast majority of the opportunity is with cable and satellite subscribers,” noting that streaming services like Netflix and Hulu have been making themselves available to cable subscribers through their cable boxes in an effort to get them on board. ComScore’s report also had some data that should come as no surprise: four streaming services (Netflix, YouTube, Hulu and Amazon) dominate the landscape, with everyone else fighting for relative scraps. That being said, the report also had a few surprises. Virtual MVPDs like Sling TV and YouTube TV may be viewed as the places where young people are going to get their TV content, outside of the traditional bundle. ComScore’s data, however, suggests that increasingly younger consumers are going elsewhere, and older consumers are embracing VMVPDs. “If you look at a year ago, 29% of households that were using these VMPVDs were age 18-34, now it is 21%,” Engleson says. The growth was among consumers ages 35 and above.